The Fab Designer Profit Society Product Page — Sweet Blue Bird Design Co. The side-hustle type of work that is leaving you feeling unfulfilled? Making the transition from taking work just because it is there, to setting up an actual creative, online business that lets you call the shots, can feel like you are trying to jump out of a plane without a parachute. It doesn’t help that those you love keep telling you that you need to get a REAL job, right?! They may also want you to keep clients that you don’t love working for, just for the money. I just experienced this because I let go of my retainer client of 6 years, at the beginning of March, 2019. I had been creating layers in my business to help support me when this relationship ended…I didn’t want all of my eggs in one basket. But, for the last 6 months, it got harder and harder for me to work on my own business. On top of that, I DREADED doing their designs. My husband DID NOT want me to quit, but it didn’t feel good anymore. I finally had to fire them because they were having financial problems and even though it was scary, I felt nothing but relief and hope after I sent that goodbye email! as a Freelance Graphic designer? I was there too! 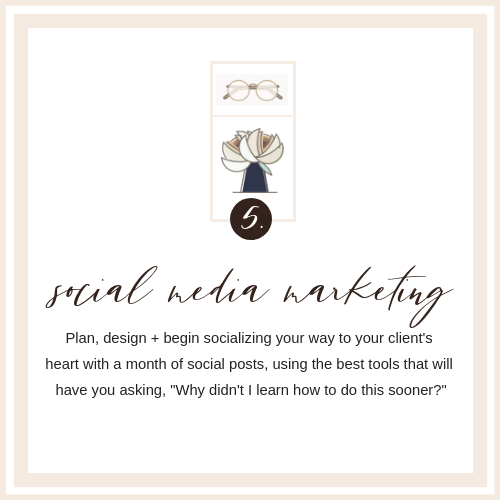 I know you are overwhelmed with where to start, who your target audience really is, how to book clients, set up systems, all the way down to what online tools you should be using. Seriously, you are not alone! Everyone starts out with the same questions that are keeping you up at night, or zoned out on while drinking your Starbucks and gazing at your laptop, hoping the answer will just appear. Are you ready for a brighter future without all of the question marks? I don’t want you to have to google your freelance questions anymore! So, would you like the steps I used to land my first $6,000 client, 1 week after my new, intentional website went live? How about access to resources for content creation, money management for your biz, contracts, on-boarding, off-boarding, client management, systems, social media marketing, and more! ditch the overwhelm, feeling unfulfilled, and follow solid steps to profiting from your passion. Take action like I did! I am Jean Coelho and I am the creative mind behind Sweet Blue Bird Design Co. This course has 6 core modules that cover all of the components needed to build a freelance business that attracts the right clients. as you go, ALONE! You won’t be alone! Create a biz that takes you from freelancer to creative entrepreneur! (5) in-depth tutorials will guide you through the exact steps that you need to take. This is specifically tailored to serial course takers, beginners, and those wanting a restart. Course Materials in the form of workbooks, worksheets, cheatsheets and questionnaires. A Valuable Resource Library for you to access whenever you want. Contracts, templates, swipe files, and course materials available for digital download, as well as professional resources and discounts from other creative partners. 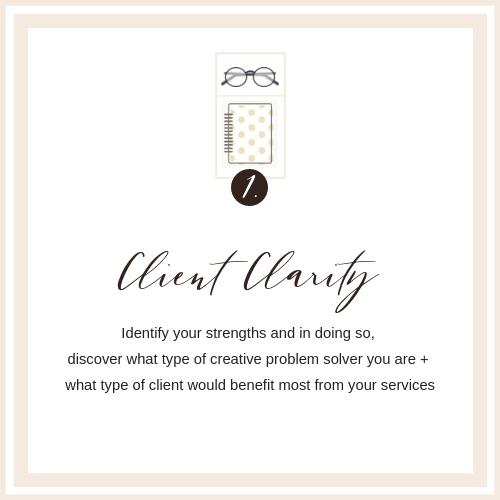 You will receive my signature Freelancer to Creative Entrepreneur Questionnaire, we will schedule out the best time for us to do your call, I will go over your questionnaire and craft a simple business + marketing plan to get you unstuck! and gives such helpful advice for running your own design business. I believe she genuinely wants everyone to succeed. I love her friendly posts in her facebook group. I always save the business tips to go back and review. I implemented her hashtag advice earlier in the year and have seen the most growth in my instagram following since. Thank you Jean, for being so lovely and sharing your knowledge with us all. I am certainly a beginner to the business side of design. The Fab Designer Profit Society was fantastic in helping me lay the foundation for building a better design business. The provided templates are fantastic - my fave being the Project Notebook! I can see myself referring back to many of the templates time and time again. I have more confidence in myself as a business owner and knowing I have a solid framework for providing my clients with a great experience through the advice offered in this course." …was the Be Beautifully Booked-Out Checklist! It is a great resource to refresh or start your brand. It asks pointed questions so that you can (re)discover your focus in a step by step format. I recommend it for anyone who is feeling the need to define themselves more, so they can target the right audience for their business"
and imparts all of that through her teaching. But what sets Jean apart from the crowd of those in the online education space is her deep and personal investment in her students. I was cared for, not only as a designer and student, but as a person, and that has made an impact on me and the growth of my business that I’ll never forget. 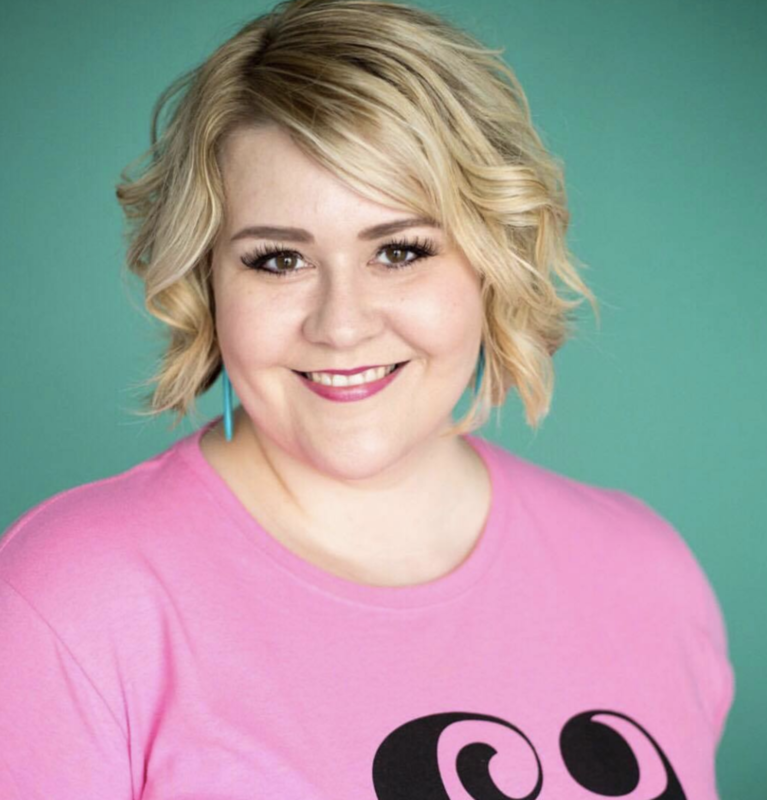 She created the training materials for their franchisees, as well as designing 2 national conventions a year, in places like Chicago, San Diego, and Miami. But, after a year in the Los Angeles area, she met her future husband at a college reunion, and headed to San Francisco to be closer to him. Because working for one financial type of company wasn’t enough, (cough, cough) she went to work for Franklin Templeton Investments, in…you guessed it, the design department. I know, I didn’t know these places had design departments either. After putting 3 years into working in male dominated, corporate America, she married and moved to a small dairy town to learn how to freelance and be a mom. She then spent 14 years designing for anyone that had money, even if it was at a highly discounted rate. In between her 3 children’s naps, crockpot meals, and playdates, Jean earned her Master’s in online business and design from the university of Google. Nowadays, she homeschools her 3 teenagers, enjoys spin class and long walks at sunset…ALONE. But, teaching other freelance graphic designers how to set-up their online businesses like the lady-bosses they are, is truly one of her passions, besides design. She is an overcomer. and a creative problem solver with a heart for relationship marketing. You know design, but are not so familiar with running a freelance business online and are ready to get help. You want to repel the dumpster diver clients. You want to find out who your target audience is. You want to profit from your passion. 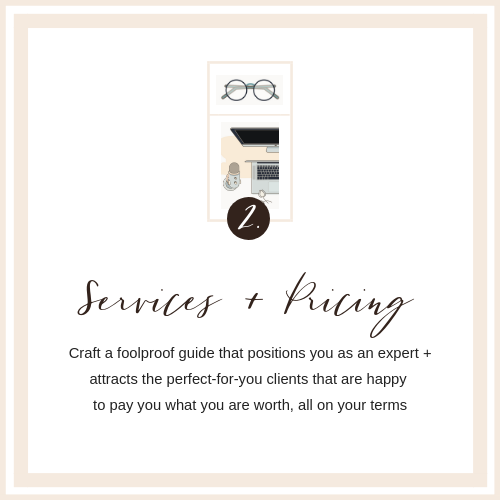 You need resources that are designed to help grow your freelance business. You are tired of figuring out #allthethings on your own. You want to set your website up in a way that does the selling for you, without feeling like you are selling. You have a family and you need this freelance dream to work. You kind of hate courses, but love resources. You want to make real changes, by creating a business reality that fits into your family and your schedule. ✔️ You want to take advantage of my fast-acting bonus, so that you can get a strategic business + marketing plan that is unique to you. ✔️ You need expert guidance BEFORE you dive into the course. ✔️ You want to book out your calendar with perfect-for-you clients before summer starts. ✔️ You want to get an amazing course + stellar resource library for freelance graphic designers, at a ridiculously low rate. 1. Who is this course for? This course is for freelance graphic designers that are in the beginning and/or restart phases of their online business. It is also perfect for serial course takers that have not seen the follow-through and results from other online courses. This is a resource course, to encourage swift action and guide you away from procrastination, fear, doubt, confusion and overwhelm, AND most importantly connect you to a likeminded community of savvy designers. Hate courses? Me too! That is why this is swipe file, template, and resource library heavy! 2. How often is The Fab Designer Profit Society offered? This is offered once a year as a self-led course. Next enrollment will be in May of 2020. 3. When does The Fab Designer Profit Society officially start? As soon as you want! 4. What if I have any issues downloading or accessing any files linked to in the course? Email me immediately at jeanc@sweetbluebirddesignco.com and I will fix the issue for you. 5. Do you offer refunds for the course? I am happy to offer refunds within 30 days of your purchase. All I ask is that you show proof of your work in the workbooks and other resources found in the course, and why you would like to be refunded. Refunds are not issued to those that have utilized the 1 hour Online Biz Strategy Call Bonus.